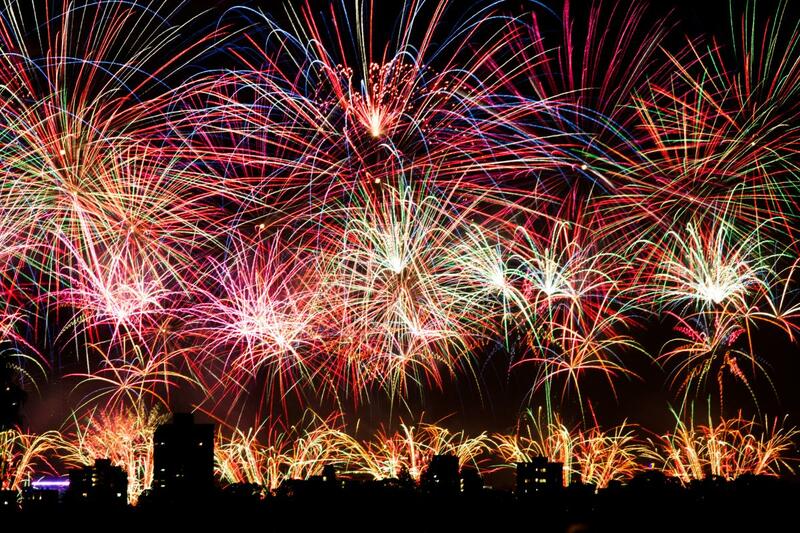 Simply put: Fireworks are awesome! They explode into the night’s sky and light it up with a mosaic of colours. However, the keyword in there was “explode,” meaning that there is a combustion that occurs in order for this painting to take place. Don’t think you need to take fireworks safety seriously? Consider this example. New York Giants star defensive end Jason Pierre-Paul had his right index finger amputated after lighting fireworks on the Fourth of July. Pierre-Paul also reportedly suffered a fracture in his right thumb and additional fractures to his remaining fingers during the accident. This is a professional athlete in the top 5 ranking for his profession and he suffered a life-changing accident that puts his career in jeopardy. It really helps put this event into perspective and how you need to get the assistance of a professional – or be completely fluent with the safety measures that are needed. The Explosives Safety and Security Branch of Natural Resources Canada routinely tests fireworks and approves those that are safe to transport, store, handle, and use. To ensure a fun but safe family fireworks display, it is important that the simple safety procedures outlined below are followed. 2. Choose a wide, clear site away from all obstacles. Refer to the safety instructions on the fireworks label for minimum distances from spectators. 3. DO NOT FIRE IN WINDY CONDITIONS. 4. Read all instructions on the fireworks. PLAN the order of firing before you begin. 5. Use a good firing base such as a pail filled with earth or sand. 6. Bury fireworks that do not have a base HALFWAY in a container of earth or sand (such as a pail, box or wheelbarrow) unless the label on the firework indicates otherwise. Set them at a 10-degree angle, pointing away from people. 7. NEVER try to light a firework or hold a lit firework in your hand unless the manufacturer’s instructions indicate that they are designed to be hand-held. 8. LIGHT CAREFULLY: Always light the fuse at its tip. 9. KEEP WATER NEARBY: Dispose of used fireworks (including debris) in a pail of water. 10. Wait at least 30 minutes before approaching a firework that did not go off. NEVER try to RELIGHT a firework that did not go off. NEVER try to fix a firework that is defective. 11. Keep fireworks in a cool, dry, ventilated place, out of the reach of children. 12. IT IS RECOMMENDED that safety glasses be worn. Whether you are at fault for an accident or not, you may be entitled to receive accident benefits from your own insurance company under the terms of your policy. Our lawyers at Graves and Richard can assist you with your application for no-fault benefits and, if necessary, represent you in any disputes you may have with your insurer.